A military source has confirmed to Sputnik that Russian Aerospace Forces have eliminated approximately 120 Daesh militants who were attempting to flee Raqqa in the direction of Palmyra through a corridor opened by the Syrian Kurds. 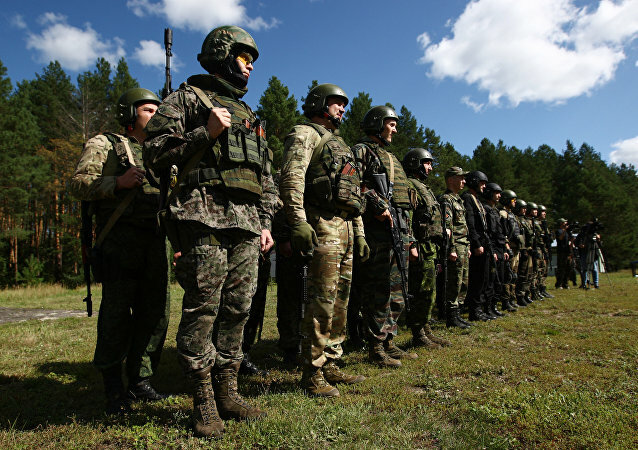 Russian military analyst Alexander Perendzhiev said that Russia has taken into account all of its previous mistakes. Tehran has said that it is testing the Bavar-373, a new indigenous missile defense complex that is ostensibly as capable as the Russian-made S-300, to send a signal to the United States and Israel, as well as improve morale of its armed forces and the people, political analyst Alexander Perendzhiev told RIA Novosti. 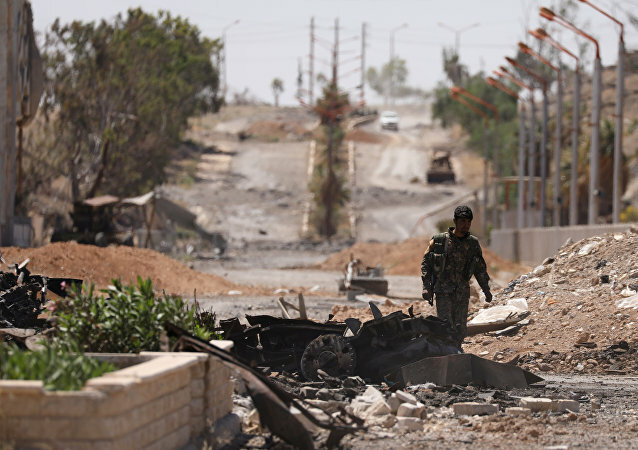 Fighting between Syrian government forces and Daesh jihadists is now mostly concentrated in the north of Syria: the terrorists have besieged the city of Deir ez-Zor and have tried to block the major supply route to Aleppo. Russian military analysts explain that they are simply trying to delay their total defeat, which is just a matter of time. Commenting on President Trump's executive order on Friday to launch what he called a “great rebuilding of the Armed Forces,” Russian political and military analysts told Sputnik that it underscores "distrust in NATO," and the alliance's capability of ensuring the security of America. Russia has allowed Ukraine to inspect the extent of its military activities in the southern Rostov region. The inspection will be held under the Vienna document of 2011 on confidence-building measures and security, the head of the Russian National Center for reducing nuclear danger Sergei Ryzhkov said. 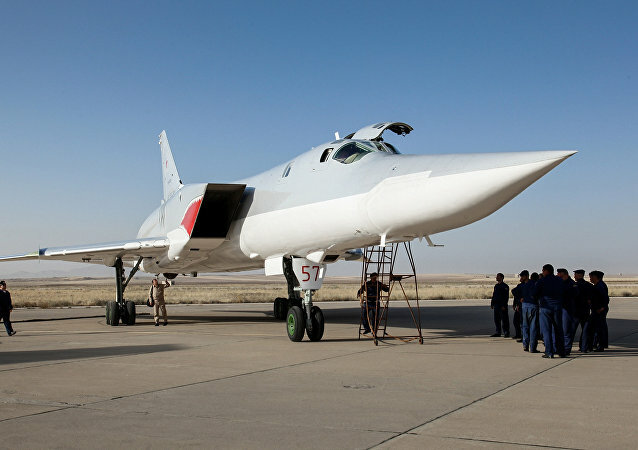 Commenting on Iran's announcement that it could allow Russia to use the Hamadan air base in western Iran for Moscow's aerial operation against terrorists in Syria, Russian political and military analyst Alexander Perendzhiev said that Tehran might even change its legislation to give Russia a more permanent presence at the base. A unique radio-electronic weapon to disable enemy drones and MANPADS has been developed in Russia and may soon enter service with the Russian Armed Forces, a United Instrument Corporation (UIC) spokesperson told RIA Novosti. Will Obama Have the Guts to Ditch America’s First Nuclear Strike Policy? Britain, South Korea, France and Japan will be deeply disappointed by President Barack Obama’s potential declaration of a “no first use” nuclear-weapons policy for the United States, The Washington Post wrote citing mostly unnamed sources. From the very beginning nuclear weapons were never actually designed to be used, and instead act as the ultimate ace up the sleeve that an adversary will never play; but the recent announcement by the US on the further life extension program of its B61-12 warhead might signal its temptation to use it, according to one Russian military expert. A parliamentary committee on security will meet on Thursday to discuss the proposed creation of a new federal executive body – the National Guard, which will be charged with fighting terrorism and organized crime, and with helping to maintain peace and order inside the country. The Daesh terrorist group earns between $200 million and $500 million a year from the transit of Afghan heroin to Europe and has seen its numbers grow four-fold due to the mounting scale of illegal drug trafficking in the Middle East, the head of Russia’s drug control service Viktor Ivanov said on Wednesday. What is the Aim of Saudi-Led Islamic Coalition Against Terrorism? The 34-nation coalition, cobbled together by Saudi Arabia, will not be able to effectively fight international terrorism, a Russian military-political scientist opined on Tuesday.